A new bathroom gives your home a new lease of life as it adds a touch of luxury. Situated in Leicester, Leicestershire, bathrooms 24-7 kitchens works with numerous suppliers such as Bauhouse™ and Dansani™ that are listed below. We provide swift yet efficient bathroom installations of Crosswater™ bathrooms and other brands so that you are always spoiled for choice. Crosswater™ offers a comprehensive range of unique brassware solutions that are designed by carefully selected leading European designers to bring you unparalleled design, superior materials, and function. The design team is curated by David Hance who has also designed a number of stylish collections. Using advanced techniques, their standards are unrivalled to offer you exceptional value and design that embraces the latest technology such as cool touch valves and air-infused shower heads. 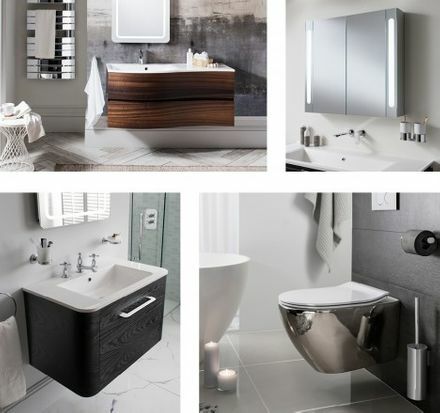 You are sure to be inspired by Bauhaus’™ latest collections of bathroom furniture, sanitaryware, and washbasins for generously sized bathrooms and bijou spaces alike. This company is dedicated to bringing you cutting-edge design and innovation to meet the demands of today’s modern bathroom schemes. 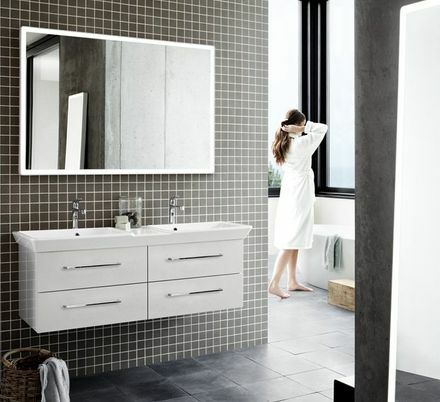 Excellence in design quality is the cornerstone of all Bauhaus™ sanitaryware. Every porcelain product is made from the distinctive vitrified clay and fine fireclay that has been designed and manufactured by genuine ceramic artisans. Dansani™ Calidris bathroom furniture offers uncompromising quality. The Danish furniture range is designed on the basis of a single idea: to create a complete series of furniture that makes it possible to furnish a functional and stylish bathroom, no matter the size and shape of the room. All units share the same exclusive design expression and are available in a number of depths, widths, and heights. The elegant lines are consistently continued in a range of single and double washbasins that can be easily integrated into your individual solution. Excellence is a way of life at RAK Ceramics™. As the world's largest ceramic tile and sanitaryware manufacturer, they are committed to providing products and services of the highest quality. Their use of innovative manufacturing technologies means that they are able to create excellent quality sanitaryware, ceramic, and porcelain tiles as well as sink products in the latest designs at competitive prices. Combining comfort and reliability with practicality and quality craftsmanship, Hudson Reed™ provides luxury bathroom products at desirable prices. Their design and manufacturing team work tirelessly to offer you the best products at competitive prices and believe that they are hard to beat anywhere. Innovation is an everyday experience with Hudson Reed™. As a reference point in innovation, Roca™ works to offer better solutions for the bathroom space. The Roca™ design centre collaborates with the most prestigious architects and designers in the development of their products. Contact us in Leicester, Leicestershire, to acquire more information about bathroom installations and Crosswater™ bathrooms.